At Hitachi Business Finance, we are driven by the relationships we create with our clients. We pride ourselves on working closely with them and forming a strong, lasting rapport. Our team is here to help create a customized financial solution that would best fit your company’s specific business needs. Now it is time for you to learn more about each of us! Check out our “Getting to Know” blog. 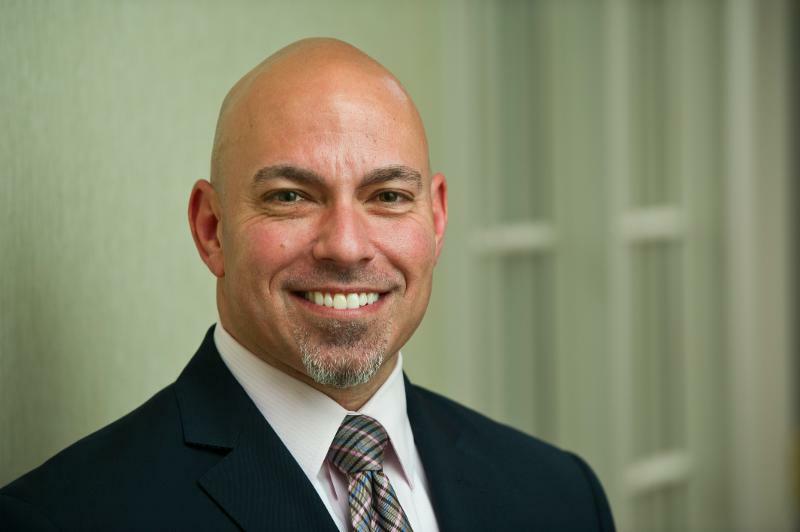 Meet Mike Semanco, president and chief operating officer of Hitachi Business Finance. He led the sale of Hennessey Capital and worked closely with Hitachi in the transition to Hitachi Business Finance to make sure our clients were still receiving the same attention and financial solutions for their businesses. Mike has more than 20 years of experience in the financial service industry and serves as an active member in many local business organizations. Below are a few Q&A to get to know him better! What do you enjoy most about working at Hitachi Business Finance? Our team. When we created Hennessey Capital in 2002, our goal was to develop a culture of teamwork and a philosophy of helping clients become more successful by providing them expertise in addition to working capital. It was more about developing a relationship with a client and solving their need than just seeing them as a number. Fifteen years later and now as Hitachi Business Finance, our team has maintained the same philosophy and we see it throughout our entire Hitachi Capital America organization. What makes Hitachi Business Finance different than the competition? Businesses have more choices today on how they can finance their company and those options will grow in the future as financing becomes more efficient. If we can remain a relationship-based finance company by taking the time to understand our client’s needs and delivering financing solutions which will help our clients meet their goals, we will give clients a solid reason to work with us. Where do you see the company in 5-10 years? We need to make Hitachi Business Finance a nationally and globally known name in the arena of asset-based lending. Everyone knows us as an industrial company that makes power tools and TVs, but not as a finance company that can help a business with their working capital needs. What is your proudest moment at Hitachi Business Finance? Our evolution from a small, entrepreneurial finance company to being part of a global organization has been fun. The access to additional resources and a strong capital base has really allowed us to meet the needs of many more clients than what we could in the past. What advice do you have for small business owners? Surround yourself with good people. Develop relationships with fellow business owners, mentors, staff, or friends that you can call on when you need something. Owning a business can feel like being stranded on an island. Having someone to bounce ideas off of or just vent to can be such a relief. I play competitive racquetball and travel to tournaments whenever possible. It’s an incredible workout. I also enjoy landscaping and design. It is fun to see a project come to life. Staying active with multiple forms of exercise. As my kids grow up, my time spent with them has shifted from baseball fields and performances to helping them with college and career decisions. It is fun working alongside of them on business projects and being able to watch them develop. Mike is the brains behind the operations. Feel free to contact him today with any questions you might have about Hitachi Business Finance at msemanco@hitachibusinessfinance.com or (248) 658-3201!